As dusk fell, the town centre of Shigaraki is filled with a magical atmosphere. 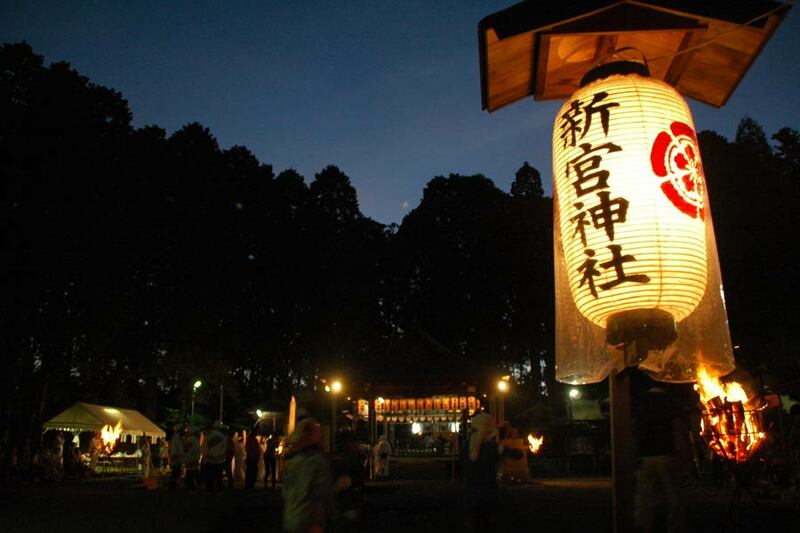 Dimly lit paper lanterns line along streets, and rhythmical pounding of Taiko drums echoes throughout the town. 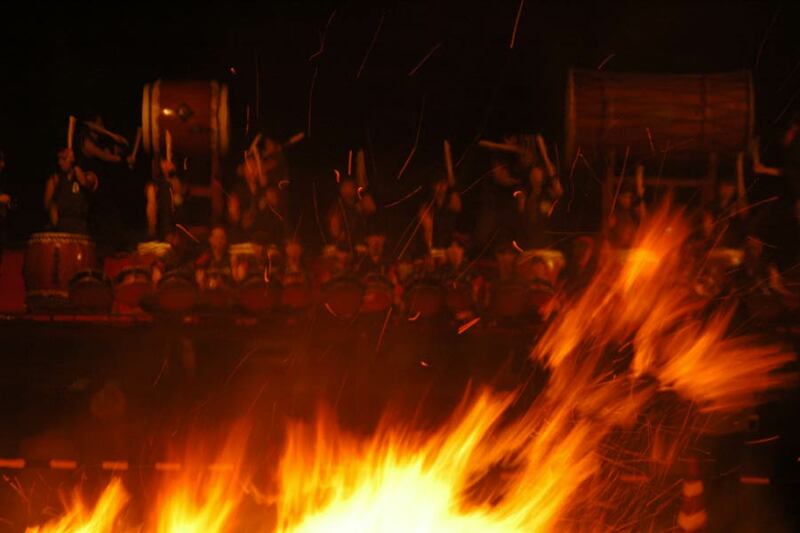 Shigaraki Fire Festival, probably the biggest annual event of this small but worldly famous pottery-making town, fell on July 26th this year. As fire plays such a crucial role for baking process, local potters has studied how to control fire properly from generation to generation for centuries. 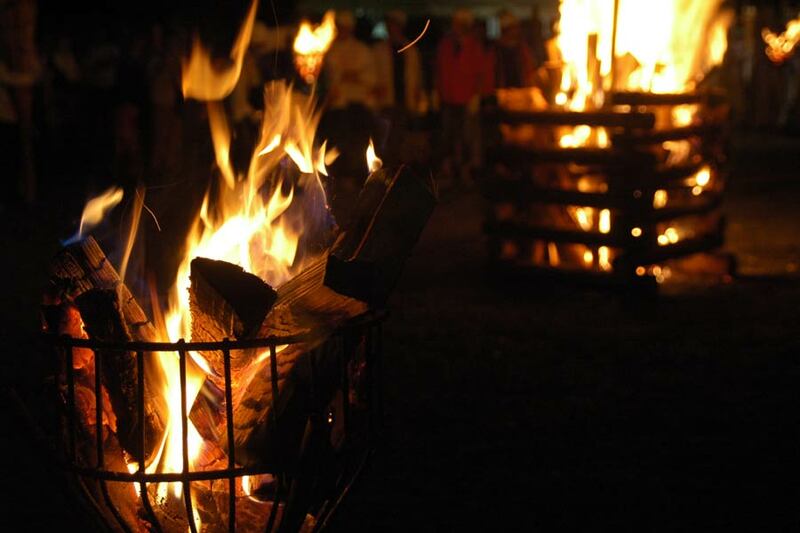 During the festival, people worship the deities of fire to gratitude and pray for the safety of baking process in the kiln and the prosperity of the century-lasting local industry. 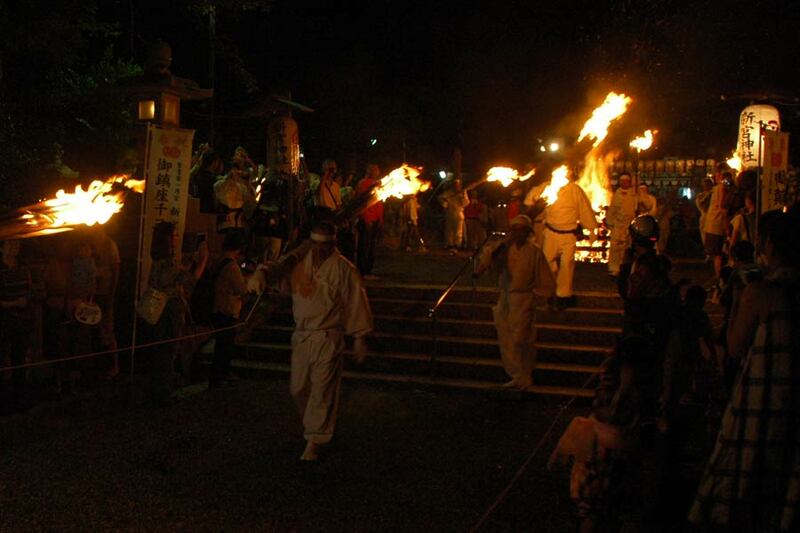 700 torches on fire were carried by locals from the town to Toki Shine on the hilltop in the outskirts as offerings to the deities. From the town at the bottom of the valley you can see hundreds of orange lights lining up on the dark slope of the night mountain. The torch procession continued back down to the town center, where torches were finally thrown into a huge holy fire in front of TAIKO drummers. At around 9:00pm, 1,000 aerial fire displays told us the end of the festival.